Retired Primary School Adviser, Wendy Gilmour, knows the importance of learning by doing and encouraging lateral thinking. As a teacher herself, she had often had to find ways to help children to understand the underlying concepts or principles of maths and science, while keeping the learning enjoyable. When she heard that Project Mala Schools were struggling to find the funds to pay for an exciting new programme of hands on maths and science kits for the primary children, she knew she wanted to help. Last year, Project Mala organised a teacher training course for our maths and science teachers, run by Butterfly Fields (http://www.fundoscience.com/index.php/about-us) . The Butterfly Fields ‘hands-on-learning’ model was born when two IIT-IIM Alumni students asked themselves how they could get away from the rigid rote learning model of education that was hampering teaching and learning of science and maths in Indian schools. The company now produces maths and science kits for homes and schools, organises teacher training and runs summer schools. Project Mala teachers found the training course thoroughly enjoyable and were fired with enthusiasm to bring the concepts into the classroom. However, the kits are not cheap and initially Project Mala could only afford enough for one of our primary schools. After 6 months, however, it was clear that the teaching model was giving the children in that school such an advantage that we felt we had to do everything we could to introduce the course throughout our schools, and this is where Wendy stepped in. Wendy's generous donation has allowed us to buy enough maths kits to support group work across the six Project Mala primary schools. This means that the teachers who were trained last year can now implement the new methods in their classrooms, and that all our children are benefitting from learning important concepts by applying them in real contexts. And they are having fun while they learn! Our life-changing stay at Project Mala. 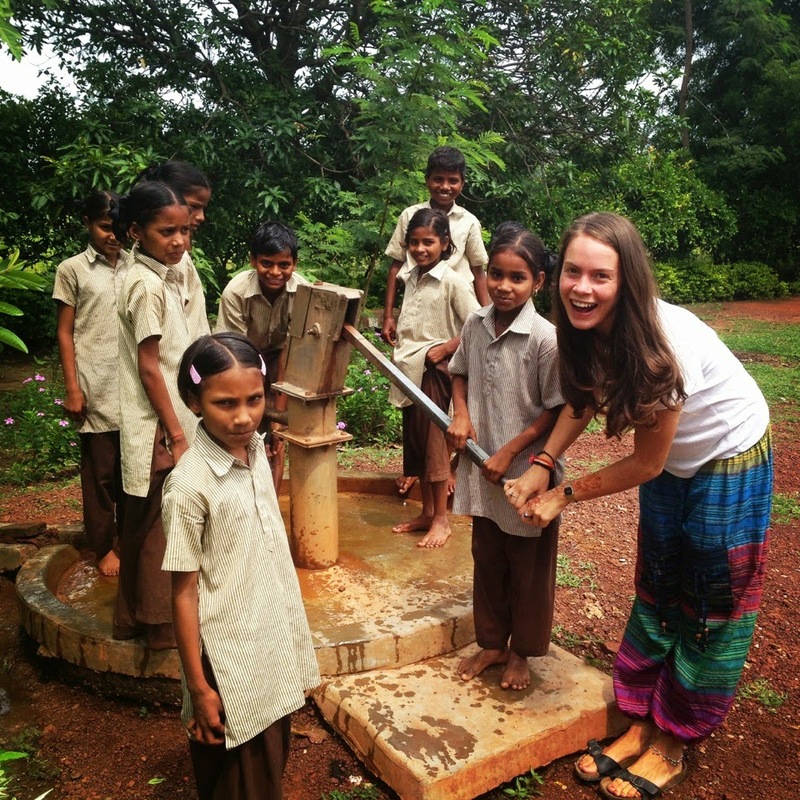 As part of her final year Geography dissertation, my girlfriend Miranda came across Project Mala while researching gender inequality in education across India and the rural areas of Uttar Pradesh. Amazed by the aims and successes of this organization in reducing the gender gap and educating hundreds of underprivileged girls over their 25 year period, she emailed Anne Bate hoping to ask some questions about Project Mala’s success. From the point of first contact Anne was incredibly knowledgeable, helpful, and forthcoming - going beyond what could be expected and giving a comprehensive insight into the challenges faced and the initiatives that have been put in place. The value of the work became apparent very early on and what a huge impact Project Mala has had in the areas affected in Uttar Pradesh and further into India. Inspired by the work, Miranda set out to make the trip to the project to experience the challenges and efforts first hand. I was lucky enough to be the chosen travelling companion who tagged along with her adventure, expecting to fly back home after 3 weeks in rainy Kerala before Miranda arrived in Uttar Pradesh. With it being my first time in India I didn’t quite know what to expect, but unsurprisingly I immediately fell in love with the country. It didn’t take much persuading to get me to re-arrange my flights and continue on the rest of the journey, which now involved diving deep into the research she was conducting. 36 hours on a train from Mumbai and we arrived in Varanasi at night - instantly greeted by a beaming Daktar and another member of staff who were waiting on the platform for us. Daktar was one of the many background staff who continuously made our stay one we’ll never forget. He drove us over an hour away from the city and into the rural areas to Guria – the location of the largest school ran by Project Mala. Here, within a gated courtyard, were the main school buildings, the boarding houses for the oldest children, and the guest house in which we were staying. We had been told to prepare for very basic conditions -little light/electricity, a simple room and a small kitchen with no luxuries. What we found was an abode far exceeding any place we had stayed in the three weeks previously! Cupboards and fridges stocked with Western delights (bourbon biscuits no less!) a huge living room and king sized bedroom, fully functioning cookers, freezer, fans, AC, filtered water and even working Wi-Fi - for two exhausted smelly travellers it was paradise. After dumping our bags, dinner was brought up to us and we realized we’d be putting on a substantial amount of weight if we stayed here too long… There’s no off switch when amazing Indian food is in front of me. The next morning Mukesh, the Education Officer (Principal, in UK terms) welcomed us after one of a sequence of delicious breakfasts and we went about planning our week. Miranda had plenty of interviews to conduct with teachers and office staff, which left me the enviable job of teaching and playing with the children all day, every day. The reception we received from both staff and children when looking round the school was astonishing. I expected the younger children to be slightly timid or apprehensive of a big bearded Englishman walking into their classrooms but I’ve never seen faces light up like theirs. I quickly picked up saying ‘Namaste’ to everyone, and was always greeted with ear-to-ear smiles from all the boys and girls. Guria was a perfect base camp for us since it has classes all through the education system, from years 1 to 10. This way I could see first hand the development of the children as I moved from one classroom to the other. I quickly focused on joining in with the English classes (mainly because the 10 year olds were better at Maths than me, and my Hindi was non-existent) and was taken aback by the level of comprehension and understanding, right from class1. The youngest children are taught English phonetically first, which was mind-blowing to see. Prema who looks after the boarding girls, struck me as a very inspiring phonetics teacher, particularly for the young girls, most of whom would never have seen Indian women with her passion for education before. She led classes with fun hand actions that represent the 46 sounds of the English language and the entire class echoed back after her. What was great to see was the children role-playing, involved in the actions and being encouraged by classmates when they got something wrong. I sat in on a few video lessons where the youngest children were shown episodes of “Muzzy in Gondoland” (an English children’s programme), and asked to re-enact scenes speaking entirely in English. Following a class, even over as short a time as a week, you see how quickly the children pick accents and vocabulary up, and are all so confident in trying out what they’ve learnt on English speakers such as myself. Throughout the day I picked up on so many of the great initiatives that have been brought in to help the children in and outside of the classroom. I could hear the sewing machines beavering away making new uniforms for the various year groups, cooks preparing a ginormous vat of rice and vegetable curry for lunch, see children reading various Hindi and English books in the library or playing cricket in the field. There was constant development to the school buildings too, with desks provided for the secondary school students, a new computer lab and listening classroom with laptops and headsets to help improve IT skills and spoken English, not dissimilar at all to my IT experiences in England. All the classrooms were peppered with fun posters or the children’s work and drawings - there is a beautiful mural painted in honour of Project Mala’s 25th anniversary which really gives the children ownership and pride in their school and their work. This is something I really picked up on when asking them how they feel about it. As I made my way up the year groups I was surprised to see so many girls still in each classroom. I had been led to believe that girls tend to leave education in rural areas to fulfil duties at home, and that attendance was much lower in the older age groups. It is testimony to the hard work and ideals of Project Mala to see how well individuals and entire female year groups are doing in school, something I became aware of when viewing the data on attendance and achievement that the office diligently collects. While in the very top two classes there were slightly fewer girls than boys, I was told that the girls achieved better in certain subjects and were more focussed and harder workers. I sat in on lessons through middle school and secondary school, impressed by the answers I received when testing the pupils on their grammar, spelling and pronunciation. In classes 8,9 and 10 I was able to quiz entire classes on complex biology while only speaking in English. Receiving GCSE standard answers from students only aged 13 in a foreign language was mind-blowing and something I wanted to explore further. While the activities of the school day and the enthusiasm of the teachers and children to learning was incredibly inspiring, it was when school had finished for the day that I had the most enjoyment at Guria. While all the younger classes head off home in minibuses or on bicycles provided by the school, the boarding children remain. Since Guria has classes 9 and 10, something the other 4 schools ran by Project Mala don’t have (yet), students that have graduated year 8 across the other rural schools compete academically to receive a prestigious place in classes 9 and 10 at Guria. Unfortunately this means that not all the children across the schools receive these final two years of education at Project Mala’s incredible schools, however, it does allow the most gifted children to travel up to 80 miles to continue their studies in Guria. Around 30 boys and 13 girls (this year) live in the boarding houses where the guest house and school is located, joining the local older children who travel from home when school starts at 9 o’clock. It is with these students that Miranda and I got the best idea of what it’s like to be a pupil of Project Mala and the difficulties one must overcome to achieve in education when originating from rural backgrounds where such opportunities are so rare. The level of English of all these boys and girls is outstanding - the vast majority are fully comprehendible in English on most topics of conversation and are easy to understand when talking to them alone or in a group. My first day I got involved with some after school cricket taught by Pawan, the games teacher, and head of the boarding boys dormitory, and I developed a new found respect for touring English teams attempting to weather the Indian climate as well as their bowling… I stupidly accepted an offer to play chess against some of the 14-15 year old boys and was beaten in 5 (yes honestly 5) moves twice on the trot. I fared better in my third game but it wasn’t until day 4 I finally beat one of them, and that was only with Manish Kumar whispering in my ear what to do. 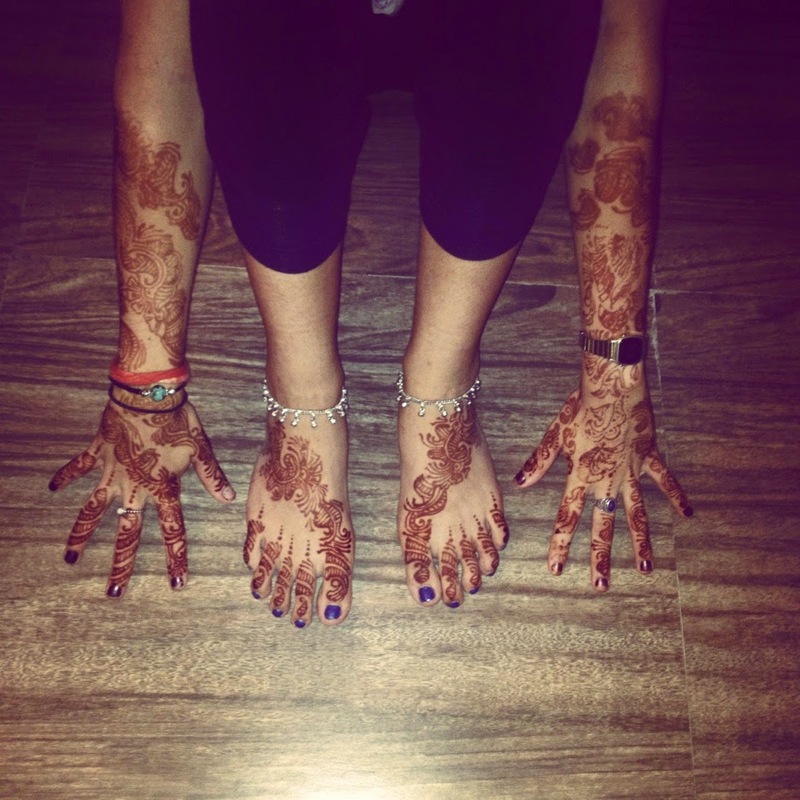 When collecting Miranda from the girls’ dorm before dinner was served I found her covered head to toe in henna and her hair braided like the rest of the girls who had also been teaching her how to massage! However, what surprised me most about spending time with the children in the evening was their dedication to studying. Here we were in the middle of nowhere talking to students who had the bare minimum of contact with Westerners and the main activity they were most interested in was getting us to teach them more about what was taught in the classroom. When I sat down I would have biology books, English grammar books, chemistry books or more pushed in front of me and 15 eager faces waiting for me to ask questions or explain concepts. It was completely staggering. The children wake up at 5am in order to fit in yoga and exercise before studying before school, and are forced to have the lights turned off at 10pm to stop them reading all through the night. For someone who struggles to make 9am lectures on a weekday morning it was slightly embarrassing and inspiring to say the least. When I’d ask what they wanted to do when they left school, their aspirations were direct and thoughtful,; “Doctor.” “Doctor” “Engineer” “Doctor” “Engineer”... etc. Yet almost every single one came from a family where the father is a farmer and the mother is a housewife. I have no doubt the same drive is reflected in the rest of the students who are not boarding at the school. I could continue talking about the inspiring experiences with everyone at Guria for days but I must mention the other four schools we visited. Each school unique in its own individual way, whether it be Turkahan where you have to travel up steep hills and massive plains or Hasra with it’s cool play ‘mud-huts’ for the children to explore, you’re still going to find the same passion for learning and teaching across all pupils and staff at all the schools. Other than the varying age groups, there are many similarities between all the schools and Guria but one initiative really stood out for me at Turkahan and Patehra. Here in addition to the regular teaching, there were playgroups for girls not quite old enough to attend school yet. Here they get together to use toys and start the very basic building blocks of education, such as using different shaped items to start a concept of maths. As a neuroscientist, this opportunity just to play for young girls who might not necessarily leave the house until schooling starts at 5 years old, is one of the most worthwhile. The scheme is relatively new but I can imagine the progression in development across the schools where these play schools take place will be significant. I’d be really interested to see this idea expanded and monitored across as many schools as possible. I’d love to keep talking about some of the amazing things we saw and did while at Project Mala’s schools but I fear I’ve rambled too much. There are a lot of people who made our journey possible and as enjoyable as it was. We want to thank all the office staff and teachers at Guria, who constantly prioritized hospitality over any of their engagements; without their interviews and information, Miranda’s dissertation would not be possible. The cooks for their incredible meals (and snacks) they provided 3 times a day, even if I blame them fully for my current post-India massive waistline… The cleaners and on-site staff for refusing to allow us to wash or take plates and rooms to clean ourselves, not to mention driving us across all parts of Uttar Pradesh to visit schools and other charities. Finally we’d like to thank Anne, the Education Adviser and Robin, the founder and Chairman for giving us the opportunity to visit Project Mala and also for establishing it in the first place; we had a life changing time and it wouldn’t be possible without their constant guidance and effort. We hope to meet you all again and see more and more children popping up on the website from attending your schools! One of our biggest problems in our schools is keeping a balance of boys and girls at induction. Our school at Guria is an exception: although still rural it has a large population, strung along the main highway between Delhi and Varanasi. Families in this area are more exposed to professional working women and see the benefits of education for income generation and development of the family for their daughters in future years. However this isn't the case in some of our more rural hinterland schools. The rural isolation, conservative communities and widespread illiteracy result in a below standard applicant, especially with girls, who seem to be much further behind than boys. All children face an entrance interview where children are asked to read, identify numbers and letters and are asked some general knowledge questions. Many of the children have attended a state primary school prior to arriving at our schools, but many have had no education at all and we have to use a different assessment criteria. These children are given simple non verbal reasoning tests and are asked questions that require an open curious mind and are judged on the native intelligence displayed when confronted by new challenges. While we look to recruit from the upper bands, we try to stay loyal to our policies of recruiting from the poorest families and also an equal intake of girls and boys. However, while we are never short of boys to select from bands A and B, we often find there are no girls within the first category and few in the second. In order to have a balanced intake of boys and girls in class we have to take a majority of girls who do not appear to have the capacity to take on an accelerated primary curriculum. Unfortunately despite our attempts to offer remedial teaching and help, the girls' lack of confidence and slowness to grasp Hindi and Math leave them falling behind the rest of the class. We looked closely for the reasons for such a wide gulf in the quality of applicants to our schools because, after all, the girls were coming from the same villages as the boys, and we found there was a marked difference in the upbringing of little boys and girls in the traditional rural village. If there is an errand to be run, a boy is more likely to be chosen. Male infants accompany their fathers to market and are shown off, their skills praised, questions asked and answered. They see a wider slice of life, are encouraged to be curious and adventurous. Girls are kept mostly at home, engaged in domestic tasks and childcare. Their mothers, aunts and grandmothers often have no experience of life outside the village and are unable to answer questions about the world and it seems possible that many little girls don't receive anything like the same stimulation and encouragement as their brothers. This was evident at enrolment days, where boys would be accompanied by fathers, uncles and yet the girls would often come alone or a group would have one female chaperone. Boys would be smartly turned out and the girls were in contrast often unwashed. We decided it wasn't possible for us to change the culture of village life, but what was possible was to give the girls a helping hand through provision of girls only pre school groups, which we decided to initiate in our school at Turkahan. The first challenge we had was to find the appropriate teacher. We decided on a woman teacher to act as a mentor and role model for the girls. In Turkahan there weren't any suitably qualified teachers to select from, plus in India, outside of the main cities, there isn't the awareness of experiential learning through play, learning through creativity and the stimulation of a child's curiosity, rather than simply imparting knowledge. Initially the expectation of staff and parents was that the pre-schoolers would sit in rows and be drilled in the sort of rote learning that they frequently encounter further on in their education, so we decided to train the person to deliver the kind of education we felt was needed. 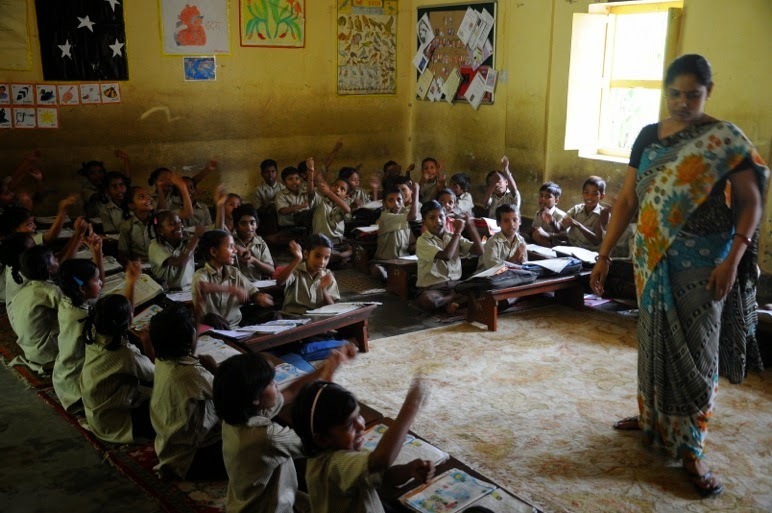 To achieve this we used the help of a volunteer; an experienced infant school teacher from the UK who helped the principal of the school in training Manju, the selected teacher. It wasn't without teething problems though and Manju often reverted to blackboard, whole class, teaching from her own childhood. Nonetheless, there was great advancement in the girls development which was reassuring to all, including the staff who were growing in confidence. The girls had little experience of play; the 'toys' they brought to school in their new school bags were pebbles, plastic bags and rubbish. They were extremely shy of visitors to the classroom, even to the point of being scared of new people. However, within a remarkably short time the girls' behaviour and attitude began to improve and they are now much more confident and outgoing and enjoy chatting to visitors to their class. We started the class with 23 girls, but very sadly lost one of them, little Nanhaki, to snake bite in July. Almost the first lessons that the girls learned were about health and hygiene. Like all of our children they are given toothbrushes and learn to clean their teeth after lunch and are taught about the importance of handwashing. At lunchtime they are given the same nutritious meal as the rest of the school and they are also shown how to keep themselves neat and clean and take a pride in their appearance. All the girls now come to school regularly and on time, clean in their uniforms, and parents are showing a greater interest in their daughters' appearance - many of them have bought belts and ties for the girls to complete their uniform, and make a much greater effort to send them regularly to school. Those not yet old enough for primary education went on to complete a second year of pre-school, joined by the new intake of pre-school girls in March. We now take 12 or 13 girls into the pre-school each March for a pre-school programme which lasts 2 years. After the successful introduction of pre-school in Turkahan we went on to open a second pre-school in Mujehra and are now in the process of registering the first intake of pre-school girls in Hasra, as well. to useful, remunerative and satisfying work. There are other pupils though, who from an early age work, either with their parents or in the community, earning money and helping the family finances. Some of these, fired with an entrepeneurial spirit, can see a career ahead of them in a local business and, as they progress through the school begin to lose interest in their studies. Our task is to support their ambitions, respect their work ethic and encourage them to complete their education, as this will help them at every level in their future lives. One of these young entrepreneurs is Nagendra. drinking water from the village hand pump for his house and cattle and then goes to the fields. doesn’t get time to study in the morning. After school he goes straight away to his father's tyre puncture repair shop in the market and works there for 2 to 3 hours. Under his father’s guidance he is becoming a very good mechanic and can do difficult repairing work very efficiently, earning 50 to 70 rupees daily, which is a great help to his family. When he returns home in the evening he is so tired that he is unable to study and goes to sleep after taking dinner. All the work he does is affecting his studies, but he doesn't feel he has any choice. Nagendra is very fond of playing kabaddi and football and always participates in the school game competitions. But due to the work he has to do he can’t spare much time for games. more attention to his studies. Jitendra: malnourished, orphaned, but still top of his class. Jitendra belongs to a very poor family. Unfortunately his parents died when he was very young at a time when the family needed them the most. His father, Jogendra Singh, was a watch man in a private company in Mumbai. His parents were physically very weak due to lack of proper nutrition and suddenly in the year 2009 his father had a severe heart attack and died. His mother could not bear this shock and after few months she also died from Tuberculosis. That was a great setback for Jitendra’s family; his four elder sisters and one elder brother. After this double tragedy they tried to recover from their situation and his two elder sisters got married in the year 2010 with the help of an uncle and both now live in their husbands' homes. Jitendra lives with his two elder sisters, Sujata (15 years) and Pooja (13 years). Sujata left her studies after class 5 to remain at home and she does the household work and takes responsibility for her siblings. His other sister, Pooja, is studying in class 7 in a government school. Three years ago, Jitendra's elder brother stopped his education and went to Mumbai in search of a job and is now working as a taxi driver. The three children live in poor conditions; there are two rooms in the house, one brick room and another one made with mud. There are no facilities such as electricity, drinking water or toilet and, for drinking water, they are totally dependent upon the government hand pump. They don’t have any property like agricultural land, cattle etc. Jitendra is very regular and punctual to school and works very hard. He goes to school daily in the morning with his elder sister Pooja, bare footed. Their financial condition is so poor that they don’t have enough money to buy shoes. His elder brother who lives in Mumbai sends 2000 Rupees (£20) every two months as the only source of income for his family, which is not sufficient to live on. After school Jitendra goes to the nearby fields to collect dry fire wood which his sister uses to prepare food as they have no other cooking fuel like a gas or kerosene stove. After school he also works in his uncle’s agricultural field and in return for that, his uncle gives him some food grains and vegetables for daily consumption. We felt very sad when we realised that the reason that Jitendra only wants to play indoor games and has no interest in outdoor games is that he is physically very weak and always scared that he might get injured while playing cricket, kabaddi or football: if he were injured then how would his family arrange medicine for him? from where would the money come? Who would do his daily routine work? So, he just plays indoor games like carom, chess, ludo etc. Jitendra has a very shy nature. He can sing well but he is a bathroom singer and always hesitates to perform in front of others. Thus he rarely takes part in the cultural activities at school. However, Jitendra is a very talented student and struggling hard just to exist and help his family. In the future he wants to be a doctor so that nobody in his area would die due to a lack of proper treatment as did his parents. In spite of his adverse living conditions he performed very well in the annual exam of class four held in March 2013, secured 98.62% marks and stood first in the class. His attendance record is 99% and Science, Math, Hindi and Drawing are his favourite subjects. At home he studies in the sunlight and in the evening with the help of a candle or kerosene lamp. Due to malnutrition his eye sight has gradually become weak, so our school has provided him with spectacles after a proper check up from an eye hospital. 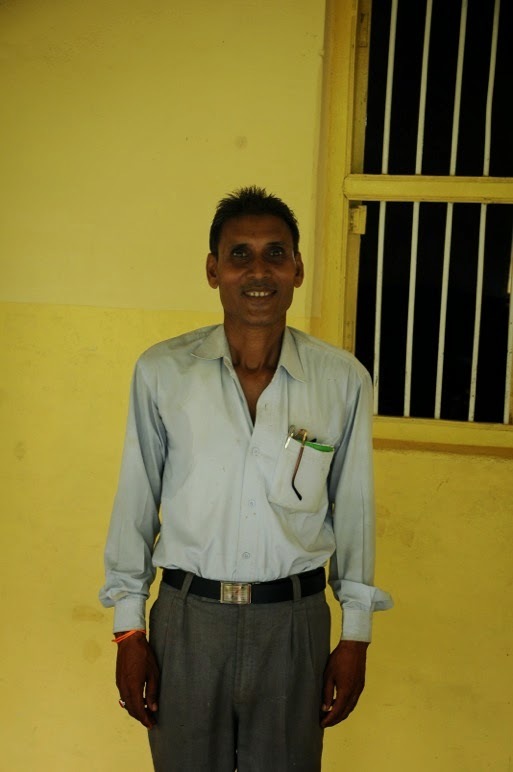 Jitendra has a nutritious breakfast and lunch each day. He tells us that he gets a proper meal only in school, and rarely has proper food at home. Project Mala is now providing him with full support. As he is physically very weak, Project Mala provides food supplements, vitamin pills and regular medical check-ups and his health is improving. Since he has been wearing glasses he has also found it easier to study. We are confident that with continued support Jitendra will be able to do very well academically. He is certain to qualify for our Middle school next year and we will be keeping an eye on his progress and on his health. Report written by Abhishek, Project Mala School, Guria.